Join us this weekend, win 100k seed funding! What happens when designers, big-data researchers, students, and technologists are put together in the same room and asked to tackle the world’s greatest challenge? That’s exactly what happened at “Coding for Climate Change”, a startup contest co-organized by Ask Lab and Adapting to Climate Change in China (ACCC). This event puts 100,000RMB of seed funding per team up for grabs and invites anyone in the public to generate ideas that uses technology to either raise awareness or to create tools to prevent future climate change impact. 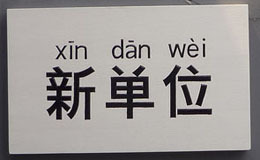 This is a first for China, having entrepreneurs co-create with government sponsored researchers. We’re ecstatic about the possibilities for true social impact and for amazing startups. What’s even more ground-breaking is the fact that these researchers not only have contributed their time, but also a wealth of datasets; making it open to the public and our creative community to play with and use in their apps, websites or any other solution they can think of! 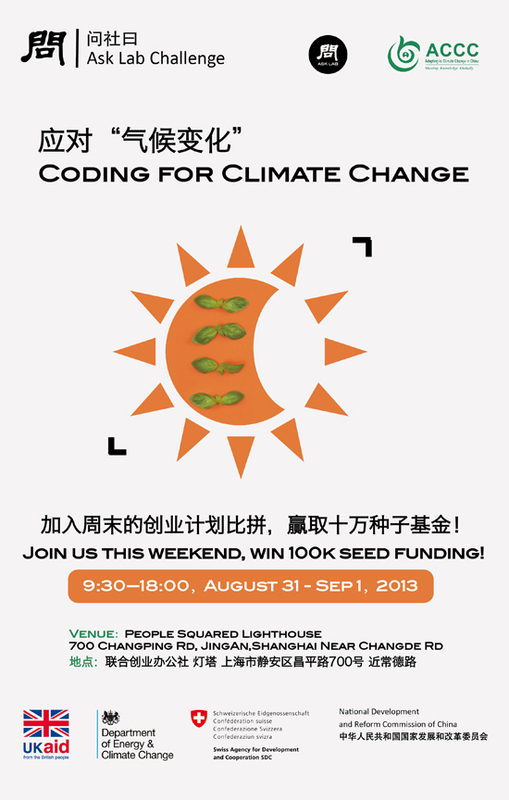 Coding for Climate Change continues on August 31st with a morning pitch session in the “Lighthouse” on Changping Rd 700, open to anyone with passion or perhaps, literally, a world-changing idea. Teams will then be formed, racing against time to flush out their ideas and get customer validation of their products supported by our amazing mentors and good food. All this before the final pitch on Sunday evening, where a panel of judges including officials from the British Embassy, as well as investors focused on social-entrepreneurship will decide the winning startups of the 100,000rmb seed-funding. For more information about this event, please click on over to http://challenges.asklab.org.